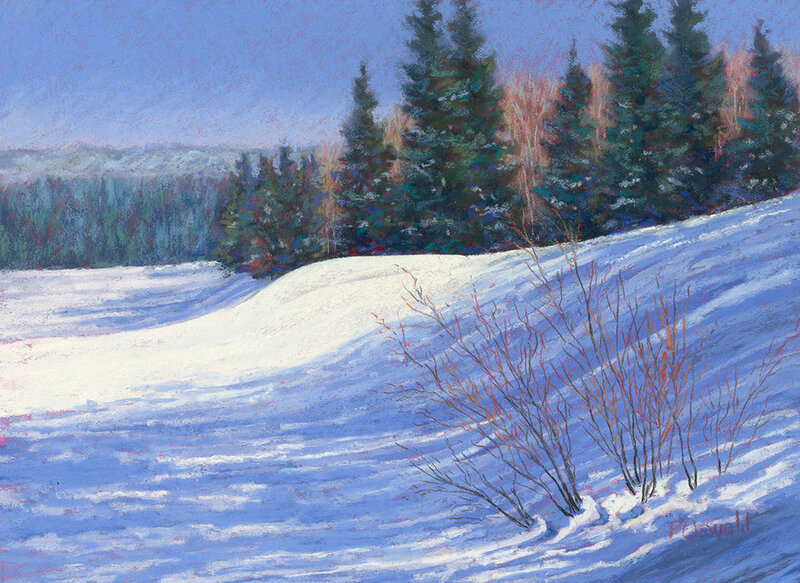 The inspiration for my paintings comes from my love for the outdoors. A camera and sketch book accompany me on my many hikes and camping trips in Colorado and upstate New York to capture those special scenes. Back in the studio, the photos and my sketches help me create landscapes that I hope show the beauty I see in the world around us. 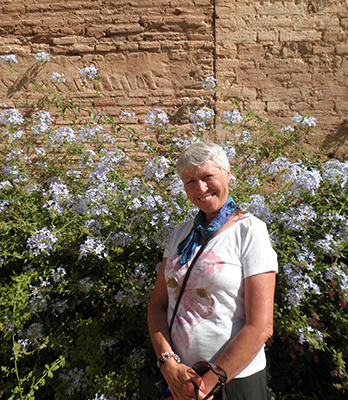 Peg was an elementary school teacher for 28 years and after retirement in 1999, she had the time to explore the world of visual art. 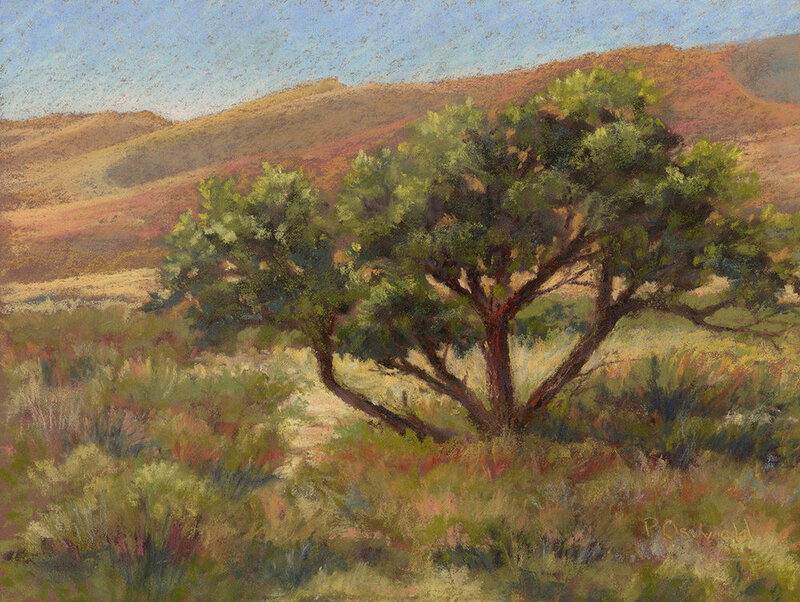 She fell in love with the medium of pastel after a class with Sara Oakley and has enjoyed painting landscapes with them ever since. 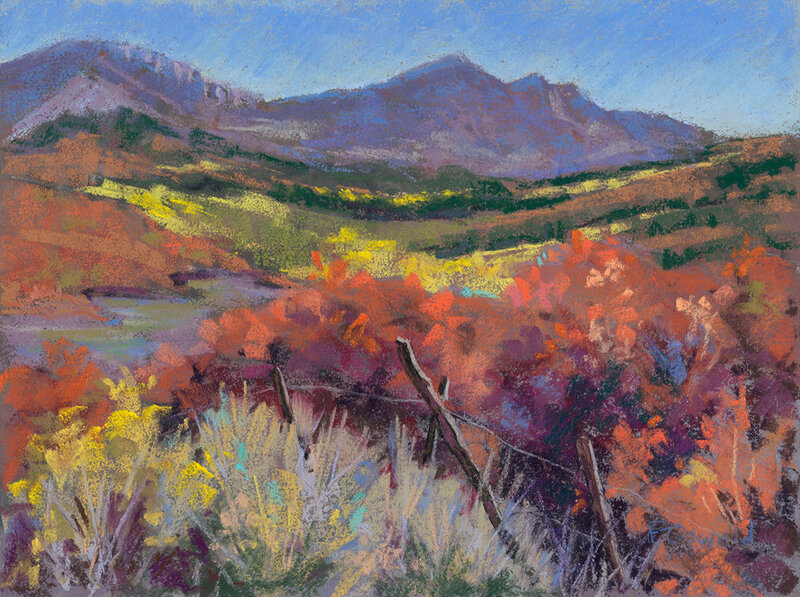 She is a member of the Colorado Pastel Society and is a showing artist in the Blue Pig Gallery in Palisade, CO. She has shown work in the Western Colorado Art Center Member Shows and the Colorado Pastel Society Art Show. She works out of her home but also has a studio with the Uptown Art Colony. 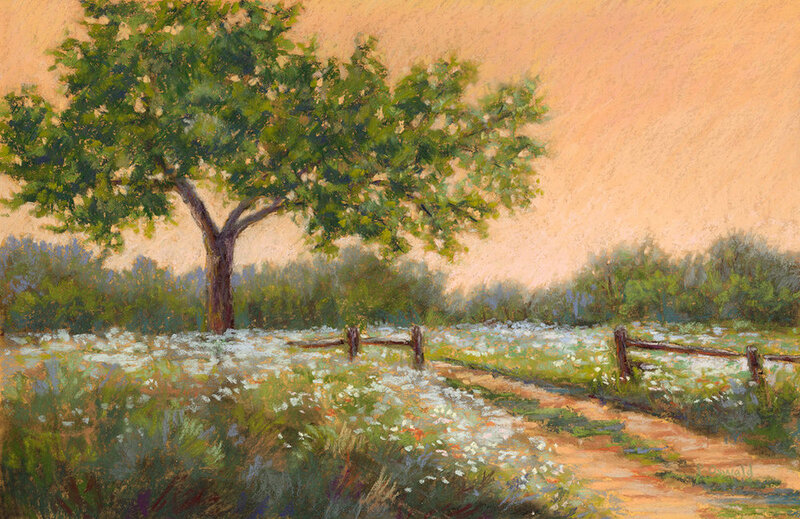 She gives classes in beginning and intermediate pastels.